Obituary for Joseph R. Loerzel | Seamon-Wilsey Funeral Home, Inc.
Joseph R. Loerzel, 88, formerly of Blue Mt. 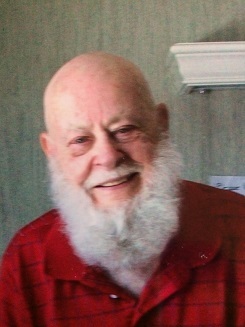 Manor Rd., Saugerties died Sunday, April 14, 2019 at his residence in Salisbury, Maryland. Born April 17, 1930 in Saugerties he was the son of the late Francis and Sadie Loerzel. Joe graduated from Saugerties High School in 1948. He entered the Navy in 1948 and was honorably discharged in 1949. He worked as a welder at Central Hudson from 1951-1990. He was a devoted member of the First Baptist Church of Rhinebeck and Faith Baptist Church in Salisbury. Joe was a loyal supporter of the Saugerties Animal Shelter. He was a former member of the Athens Senior Citizens Club and the Saugerties Fish and Game Club. As a youth, he played baseball for the Saugerties American Legion Team. His passions included motorcycles, sports cars, hunting, collecting guns and making wooden canes. He was predeceased by his wife of 66 years, Lorraine in 2018 and his brothers Richard and William Loerzel. He is survived by his sister, Virginia Brackett of Salisbury, MD.,nephews Raymond Brackett of Salisbury, MD and Daniel Malitz of Charlotte,NC, nieces, Lorraine Helf and Suzanne Case of San Jose, CA and Charlene Wassman from Campbell,CA.